At my new place there is a large backyard, completely barren and given over to weeds by the former owner. When we moved in last winter I decided to concentrate my most intensive efforts on other areas, but eventaully I wanted an orchard of dwarf fruit trees in the back yard and didn’t want any grass there. 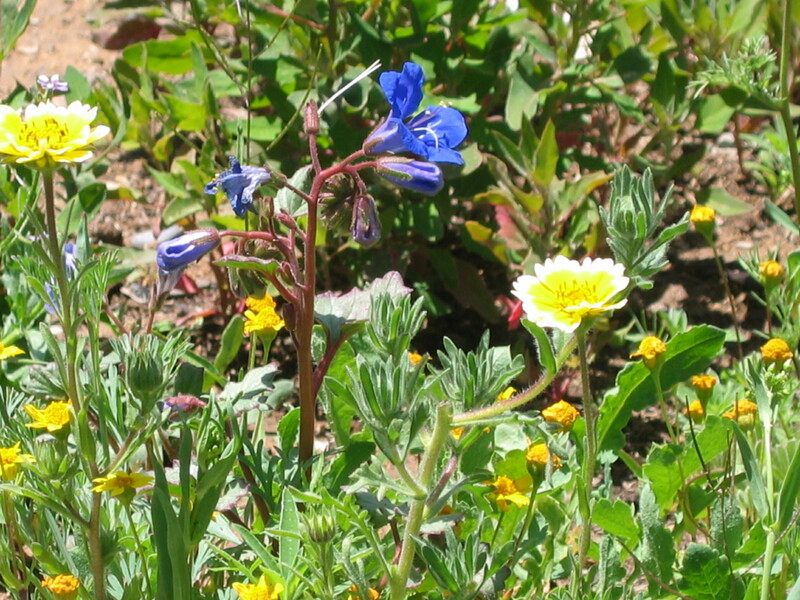 The soil was terrible, and I decided to till the area shallowly and plant desert/upland wildflowers, which are accustomed to struggling for survival. I used the “California Brilliant” mix from Peaceful Valley. I didn’t do any soil improvement. Naturally the weeds came up as well as the wildflowers, and the whole area had to be weeded over by hand in the spring to give the infant wildflowers a chance. There was too much area for me to do alone, and I can personally recommend the Albuquerque weeding service “U weed me?” Liz, who can be reached at lizabkap@hotmail.com, is an armed forces veteran and a dependable, reliable person who spent more time on her knees with me in my back yard than seems reasonable, and never complained. 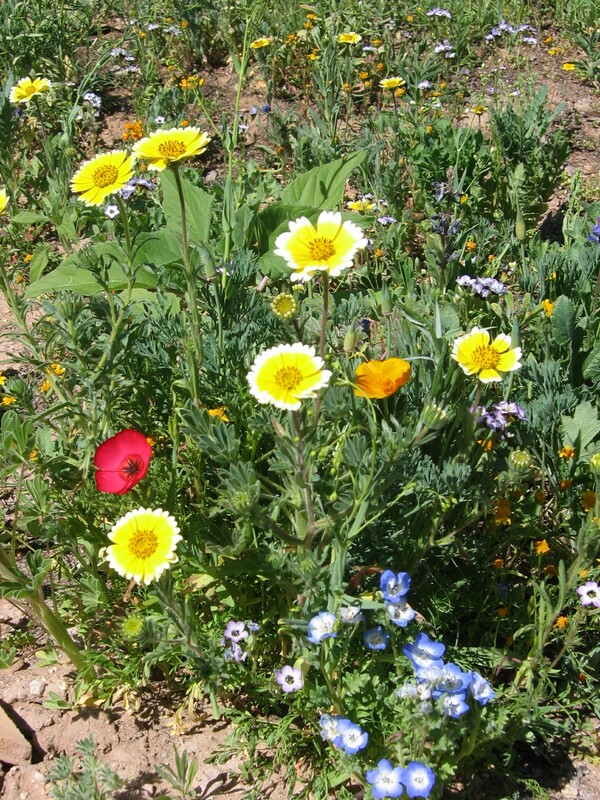 The wildflowers started blooming in late April, and something new comes into bloom every week or two. That area of my yard is a constant pleasure, and I walk through it every morning just to see what’s blooming. It needs some water but not as much as a lawn, and between the flowers, the bees, and the hummingbirds, it’s at least three times as interesting as a lawn. 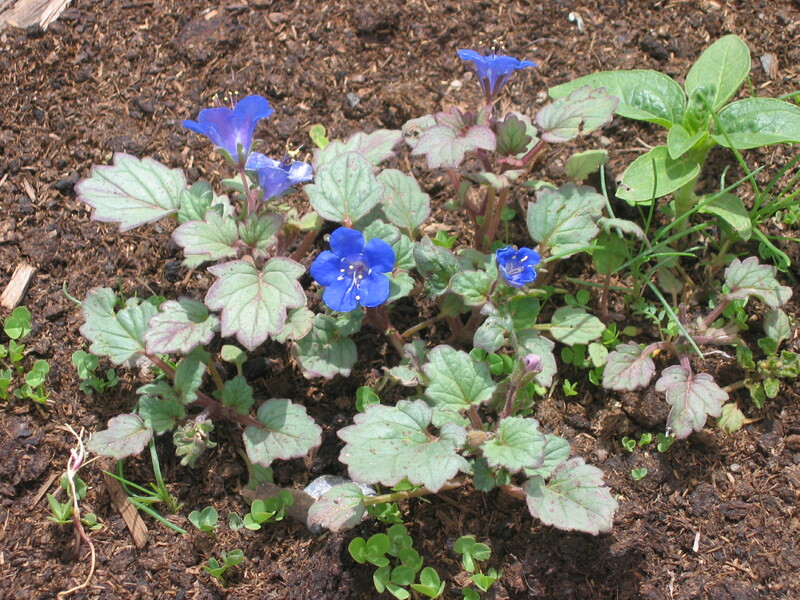 Before you decide on wildflowers, take into account that bare spots do occur, that weeding is necessary, and that the flowers have to be allowed to go to seed if you want to keep the meadow going, which isn’t necessarily going to be an attractive process. But you’ll have a glorious springtime. 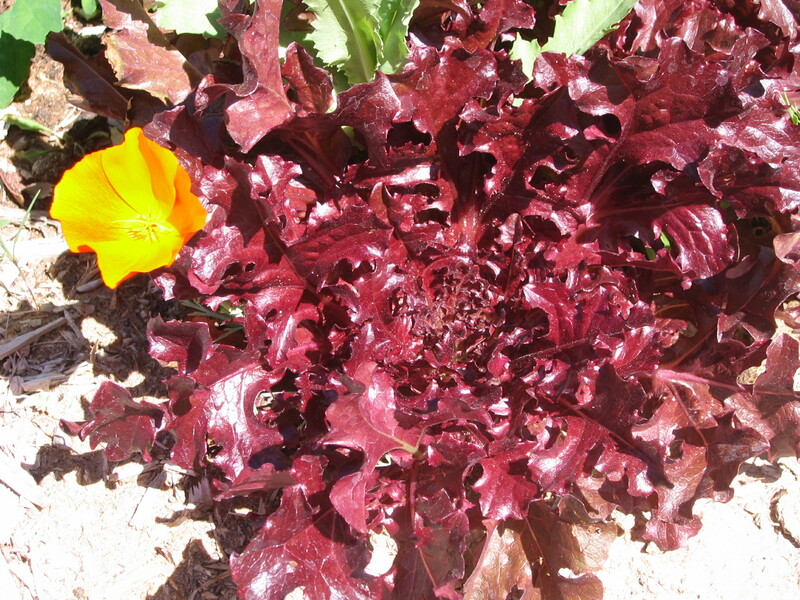 I scattered a little of the mix in a vegetable bed just for fun, and some lovely chance combinations are occurring, like the Califirnia poppy above making itself at home in my lettuce bed. Beautiful, and what a sensible response to your backyard. It’s satisfying to reclaim an area to fit one’s desires. Next spring will be even mo’betta. Love your blog.